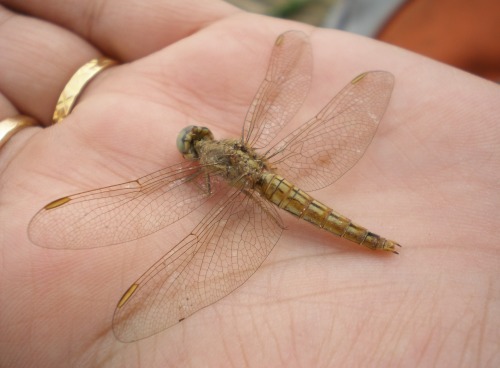 Dragonflies: once abundant across Delhi, are now restricted to few pockets. Known to devour the mosquito larva, they are good malaria inspectors. As the Commonwealth Games are approaching, the city is almost gearing up with the preparations. In the process of making the Games fruitful and a memorable event, various developmental projects have been undertaken. Large number of constructions, digging has been seen all over the city in the past months. The tremendous digging and caving of the roads, delayed timelines & missed deadlines, added to it heavy monsoon that has hit the city has all led to a major disease outbreak in Delhi. Construction sites get filled with rain water and remain water logged and become breeding ground for vector borne and water borne diseases. After corruption and delayed constructions, its now dengue, malaria, eye flu and cholera which is posing a serious threat to the city and its citizens. The outbreak of these diseases in Delhi has filled hospitals leading to a deadly panic in the city. Recently, the army was brought to fight this battle with dengue to control the epidemic in and around the Games Village. Many countries, after seeing the health status, have already issued a traveling advisory for tourists coming to India. The graveness of the condition has led to countries like Britain, Malaysia, Indonesia, and Australia to issue health warnings against traveling to India. Ticket selling for the Games has been at an all time low, which directly impacts the tourism industry. The authorities need to take effective action to control the situation, not only in the Commonwealth Games venues but in the entire city. Had preparations of the Games been done in the sustainable manner and well in advance, with regard to the the issues of health and hazard of the common man, it would not have had such a big impact on common health.